Article first published by Spears: Post Panama Paper: are English trusts still trusted? On 7 November 2018, the government launched a 12-week consultation. The objective was to look at the law surrounding trusts and how the status quo aligns with the principles of transparency, fairness and simplicity (the principles that, at least in the government’s view, underpin trusts). The initial reaction by some practitioners has been a fear that trusts might once again come under attack from this (or a successive) government. As many may remember, trusts were broadsided by the Finance Act 2006, the result being that trusts created on or after 22 March 2006, could no longer enjoy the generous tax advantages they once did. Although the report recognises this and acknowledges that the overwhelming majority of trusts are a legitimate way to serve a worthwhile purpose, it does identify areas of specific concern, including non-resident trusts and trusts established to avoid or evade tax. Perhaps the purpose of the report is simply trying to streamline and improve the position for trusts, but some might label this view naïve. The government is eager to ensure the trust system is transparent, and the separation of legal and beneficial ownership is sufficiently clear to those responsible for administering the tax system and investigating criminal activity. The government took a big step towards transparency by introducing the trust reporting scheme in the UK, and by committing to the Common Reporting Standard which ensures exchange of information between jurisdictions. It is hard to imagine what additional changes the government could make to improve transparency, without offending the principle of simplicity. However, there is a fear that the government wishes to make trusts fully transparent to the wider public, as is the case for companies, which could result in trust information being made available to everyone. The government wishes to ensure that 'tax considerations neither incentivise nor disincentivise trusts' and believes that it has achieved this, reaching a 'broadly neutral' position. However, there are still examples where trusts offer a more favourable tax position, without going so far to suggest that they are only being used to avoid or evade tax, for example, settling property into trust only to qualify for hold-over relief from capital gains tax or settling one’s inheritance into a discretionary trust of which that person is also a beneficiary. The validity of such arrangements in the future (and perhaps retrospectively) may now be at risk. On the other hand, the immediate 20 per cent charge, when assets in excess of an individual’s nil-rate band (currently £325,000) are transferred into trust, might be regarded as unduly punitive. This is especially so considering that the nil-rate band has not increased since 2009. Trust law is complicated, and in many cases necessarily so. Where simplicity might more realistically be achieved is with the administration of trusts after they have been created. Whether we consider the income tax reporting requirements imposed on very small trusts, or the communication required between trustees and beneficiaries in respect of the repayment of income tax, the administration of trusts is complex and can be expensive. This dissuades people from using trusts when it would otherwise be suitable or legitimate in the circumstances. This cannot be right. The political rhetoric in recent times has been to criticise the use of trusts and public opinion of trusts remains low after the widely reported scandals such as the Panama Papers and the use of trusts in other offshore jurisdictions for tax avoidance. This consultation may well be the precursor to further sweeping changes to the taxation of trusts. Although it is hard to imagine a change quite so significant as that introduced in 2006, the real worry is that changes might be brought in very quickly and without consideration of the legitimate asset protection reasons for creating trusts in the first place. However, trusts are not the only option available to achieve asset protection. The use of companies to hold wealth is on the rise and might only become more prominent if trusts come under attack again. 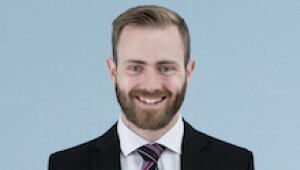 Stuart Price is a private client associate at Thomson Snell and Passmore.